Jesse became a member attorney with the Hatch Law Firm in 2009. 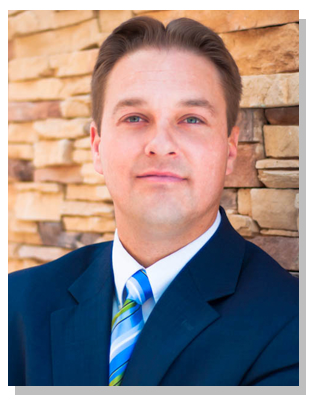 Prior to joining the Firm, Jesse worked in a prominent Albuquerque insurance defense law firm from 2005 until 2009. Jesse has experience representing clients in all of the Hatch Law Firm’s practice areas, though his primary focuses are in business and commercial law, insurance defense litigation, and commercial real estate law. Jesse’s practice includes both litigation and transactional work in these areas. He has successfully represented clients in New Mexico’s state and federal courts and before administrative agencies and tribunals. Jesse represents many local and regional businesses in matters of general business law and business related real estate dealings. Jesse has been recognized by Southwest Super Lawyers as a Rising Star in the field of business law and is rated “AV” by Martindale-Hubbell. Jesse has presented at CLE’s and in other settings on issues of business and contract law, liability and asset protection, and litigation skills. 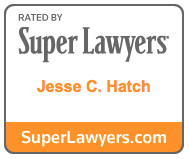 Recognized by Southwest Super Lawyers as a Rising Star in the field of business law. We welcome your email message. Please note that unless you are an existing client of the Hatch Law Firm, LLC., transmission of an email does not establish an attorney-client relationship. Thank you for your interest in the Hatch Law Firm.